KSK is one of the oldest Singaporean black metal project, started in 1994 as a 4-piece band named Kibosh Sybil Kismet. Back then they've played raw old school black metal that's typical for Malaysia and Singapore. Since the mid-2000s, the band name was abbreviated to KSK, and the sound became more futuristic and electronic-based, akin to such bands as Aborym, Anaal Nathrakh, and Ayat. 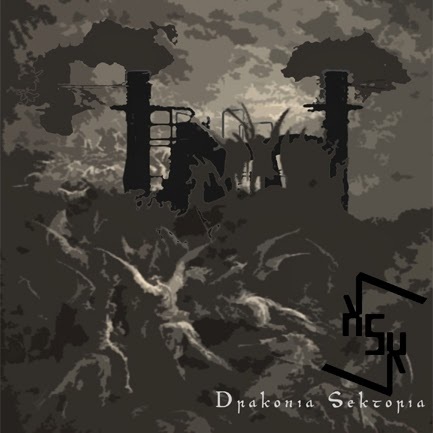 The first full-length from KSK, called "Drakonia Sektoria", may be not as impressive as the best albums of the aforementioned bands, but nevertheless it shows that Z:c4 (the only member of KSK, as of now) has a right inderstanding of ggod industrial black metal sound and aesthetics. The best track on "Drakonia Sektoria" is "Living Emptiness Within Me", I think.